Cape Cod, Massachusetts is famous for its stunning beaches and outdoor fun, but don’t forget to plan time to fully explore the area while you’re on vacation. 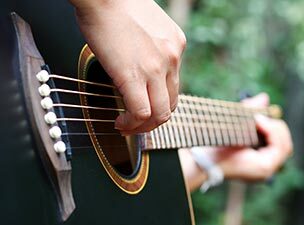 With our great location, the Candleberry Inn offers a number of things to do in Cape Cod. There are also many great attractions in Brewster, MA to experience. With rich historical sites and abundant wildlife, make sure you schedule a tour to visit the landmarks and museums. Also, take advantage of the unique opportunity to cruise the ocean and see whales, dolphins, and other sea creatures. If you haven’t already, be sure to download our free Vacation Guide! Below are a few of our suggestions on what to do in Cape Cod and fun things to do in Brewster, MA. If you would like assistance in planning your trip, please ask and we will be happy to help. Visit the stunning beaches of Cape Cod, and find out why they are considered to be the best in the world. Beach stickers are sold Monday through Friday from 9am – 3pm at the Brewster Visitor Center in the Brewster Town Hall Offices, 2198 Main Street (Route 6A). The sticker office is open from June through August, the phone number is 508-896-4511. Brewster’s Beaches are located along the Cape Cod Bay where the waters are calm, and the low tides with water receding make them ideal for families with children. A bayside beach off Breakwater Road, off 6A; near the Brewster General Store. This beach is a popular destination for families. Nickerson Park off of 6A in Brewster offers beautiful fresh water ponds for swimming and kayaking. A bayside beach 1 mile off Lower Road, which intersects with Route 6A *Long Pond*: Off of Mammon Drive in Brewster Upper Mill Pond: Off of Run Hill Road in Brewster. One of Cape Cod’s and Brewster, MA’s best attractions is the beautiful golf courses. Book a tee time during your stay, and experience for yourself the scenic and challenging courses. The Captains Golf Course is Cape Cod’s premier public golf course facility, located in Brewster, MA, which is known as the “Sea Captain’s Town” and “Golf Capital of the Lower Cape.” The Captains Golf Course features two championships eighteen hole courses – Port and Starboard. This magnificent, full-service 18 hole municipal golf facility located in Harwich, Massachusetts offers a championship layout designed by noted architects Cornish & Robinson. The Town of Dennis has two of the finest golf courses on Cape Cod! Dennis Pines and Dennis Highlands are open to the public on a year-round basis, depending on weather, with one course closed from December through the end of March. The Chatham Seaside Links was built in 1895 as part of the Chatham Bars Inn resort, but the course has since been taken over by the town of Chatham. It is a compact, very playable 9-hole course that is centrally located right in downtown Chatham. Though it is a smaller course, golfers of all levels are sure to find some challenges here and getting matched with a 3-some is never too long a wait. Enjoy an unforgettable experience and plan a trip for whale watching or sailing in the local Cape Cod waters. Explore the quiet of Nantucket Sound aboard Sabbatical, a 35′ Southern Cross. Captain Bob Rice has been sailing local waters for more than 45 years. Guests are welcome to take the helm or just sit back and relax as we take advantage of our proximity to the National Wildlife Refuge at nearby Monomoy Island. Unlike many other whale watches, Dolphin fleet trips offer a wide spectrum of educational tools that go beyond the “average whale watch”. All trips are designed to enhance awareness of whales, other marine life and the marine habitat that surrounds us. 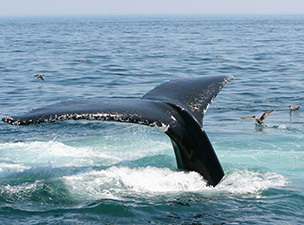 Hyannis Whale Watcher Cruises are the Mid-Cape’s only Whale Watch. Our high speed, state-of-the-art vessel sails daily – May through October – from Barnstable Harbor. Since 1981, Hyannis Whale Watcher Cruises of Cape Cod has been offering whale watch adventures as a platform for conservation and education. Cape Cod and Brewster, MA offer some of the best fishing. During your visit, schedule a time to experience the wonderful fishing Cape Cod offers. Located in Chatham, Massachusetts, Traveling Angler hosts more than 20 local fishing guides and also offers destination hotel packages and recommendations. 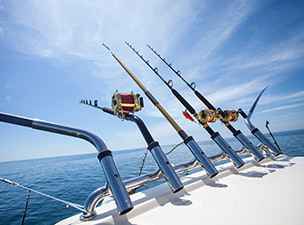 Their concierge services offer anglers a wide array of choices which include: offshore/tuna trips; inshore / striped bass and bluefish; kayaks estuary; flat’s boats / light tackle; and beach surfing. Call them at (508) 241-1596 and they’ll help you book book your fishing and Cape Cod excursion. Located at Saqutucket harbor in Harwich Port, Massachusetts, we are closest to the heart of the summer fisheries and with our superior speed you spend more time fishing and less time getting there. Whether we are fishing for Black sea bass, porgies, stripers, sharks or giant blue fin tuna, our gear is best matched for the catch. Captain Len Greiner has been running Sportfishing Charters, Eider Hunts, and Seal watches for years. His knowledge, expertise and sense of humor will ensure you have a good time no matter which you choose. Not sure what to do in Cape Cod when you visit? Schedule a tour, day trip, or short cruise to sightsee different regions of Cape Cod. Touring Cape Cod in our 14 passenger sightseeing van allows you to meet and mingle with visitors from all parts of the world. Our day tours are six hours in duration and include a picnic lunch. Join us for a fun and interesting day on Cape Cod! If you’re planning ferry travel to Nantucket or Martha’s Vineyard, you’ll find schedules from all ports servicing the Islands including Hyannis, Harwich Port, New Bedford, Woods Hole, Falmouth in Massachusetts, as well as New York City, New Jersey, and Rhode Island. Visit Nantucket Ferries and Martha’s Vineyard Ferries for these ferry schedules. Let FREEDOM CRUISE LINE take you back in time… to the historic whaling port of Nantucket. On a short cruise you will see Cape Cod disappear and the island they call the “Grey Lady” appear ahead of you on the horizon. We are pleased that you have chosen us to be a part of your trip to “Old Cape Cod.” Whether it’s a day trip to Nantucket or Martha’s Vineyard, sightseeing past the Kennedy Compound, deep-sea fishing or a journey on the Cape Cod Canal, we’re sure you’ll find something to enhance your vacation experience. The vision of the Steamship Authority is to provide excellent customer services through a safe, convenient and efficient transportation system while responding to changing needs and market demands as well as community concerns within a work environment that promotes quality performance and recognition of our employees. 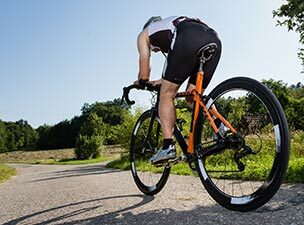 The Cape is a great place to bike and has numerous bike paths that make your biking safe and enjoyable. Visit one of the many museums in Cape Cod during your vacation to learn about Cape Cod’s history and important landmarks. The Cape Cod Museum of Natural History inspires appreciation, understanding and stewardship of our natural environment through discovery and learning as museum of natural history, nature education center, and steward of conservation land. The John F. Kennedy Hyannis Museum captures the years JFK spent at the family compound in Hyannis Port – his time with family and friends, and with national and international persons of prominence. The Heritage Museum is famous for the Dexter Rhododendrons that bloom throughout the beautifully landscaped grounds. An Antique Automobile Collection is displayed in a Shaker round barn and an operating hand-carved carousel are two of the museum’s popular attractions. Visit Plymouth as a 1627 English Village, talk with historical interpreters who portray the Plymouth colonists (Pilgrims) going about their daily lives in this small, re-created coastal village. Discover a different perspective at the Wampanoag Homesite, where Native American staff practice and preserve traditional skills and speak about the history and culture of the Wampanoag People. Enjoy an evening out on the town and visit the amazing theaters and music venues on Cape Cod and Brewster, MA. Just a 5-minute drive from our inn, the Cape Rep Theatre works to blend the talents of local, up-and-coming artists and established professionals. This unique facility is comprised of an old barn, Cape House, an indoor theatre, and an outdoor theatre (the only one of its kind on Cape Cod). Visit the Cape Rep website for information on upcoming performances and special events! The legendary Cape Playhouse has been bringing Broadway actors to Cape Cod for nearly 80 years. Often referred to as the “Birthplace of the Stars”, the Cape Playhouse has attracted a long litany of famous actors since its inception in 1927. The mission of the Harwich Junior Theater is to provide young people with the opportunity to explore and expand their creative talents and aspirations, to entertain, to develop and foster a love and full appreciation of theater and to enrich lives throughout the theatrical experience. Listen to the Brewster Town Band while enjoying a pleasant summer evening by the sea. Bring a blanket and a picnic basket full of your favorite goodies! The Cape Cod Melody Tent presents world-class entertainment in an intimate theatre-in-the-round where every seat is within 50 feet of the stage. 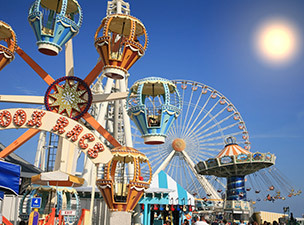 Depending on when your vacation is there are multiple fun fairs and festivals in Cape Cod and Brewster, MA. The Barnstable County Fair is an annual summer tradition on Cape Cod. There are animal shows, 4-H demonstrations, petting zoos, horticulture displays, rides, games, live music, arts & crafts, food and commercial vendors with various arts and crafts for sale. A week long celebration of spring, flowers and fun in the town of Brewster. Featured are a parade, a 5K road race, arts, crafts, and antiques. The Provincetown Film Festival is dedicated to showcasing independent American and international films, nurturing aspiring independent filmmakers, honoring industry luminaries, and preserving and sustaining cinema as an art form through educational forums. Nickerson State Park has 1900 acres with more than 420 campsites, including yurt camping. 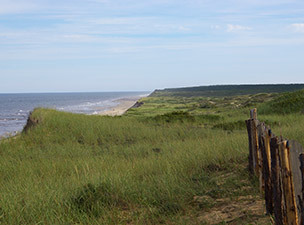 There are eight miles of roads, hiking trails, and an eight mile bike path that connects to the 25 mile Cape Cod Rail Trail. The Park features eight crystal clear “kettle ponds”, formed as glaciers retreated from the Cape over 10,000 years ago. The Cape Cod National Seashore incorporates forty miles of pristine sandy beach, marshes, ponds, and uplands that support diverse species. 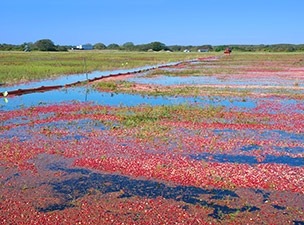 Swimming beaches and walking and biking trails, as well as lighthouses, cultural landscapes, and wild cranberry bogs offer a glimpse of Cape Cod’s past and present ways of life. Take a front row seat as the Brewster Whitecaps take on the rest of the Cape Cod League. At any given game, you’re looking at an average of six future major league players! Enjoy the old time, town team atmosphere, including ballpark franks and 50-50 cash raffle. No admission charge, donations only. Kids return foul balls for treats, test their fastball on the radar gun and get autographs from players. The Cape Cod Baseball League is arguably the most respected amateur baseball league in the country. Some of the finest college ballplayers from around the country are invited to spend the summer on the Cape and play on one of the teams. Major League scouts are among the spectators at Cape League games as the baseball stars of tomorrow take the field. Experience the wonderful shopping in Cape Cod and Brewster, MA.